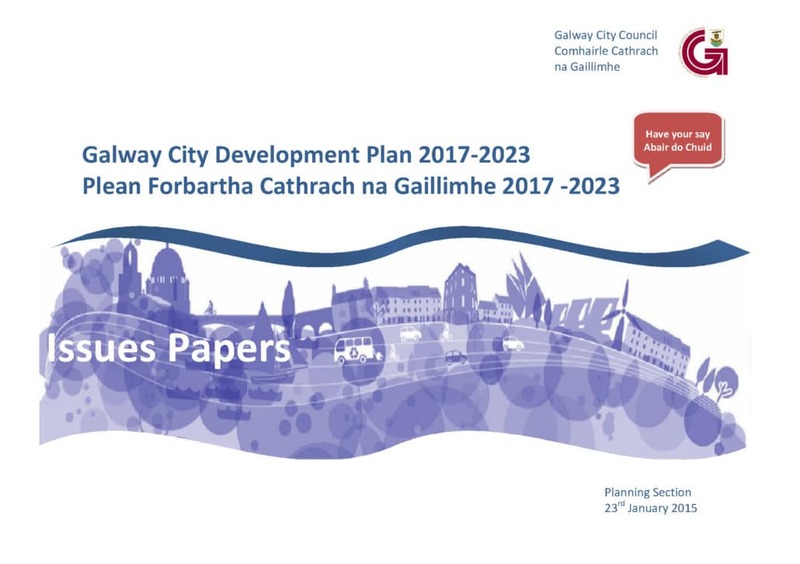 Galway City Council has given notice that it intends to review the Galway City Development Plan 2011-2017 and prepare a new Development Plan 2017-2023 for its functional area. The Planning Authority will carry out a Strategic Environmental Assessment [SEA] as part of the review process and an Environmental Report will be prepared on the likely significant effects on the environment of implementing the new Plan. The provisions of the Planning and Development (Strategic Environmental Assessment) Regulations 2004 as amended shall apply. The review of the City Development Plan will be assessed in accordance with Article 6(3) of the Habitats Directive in relation to the management and integrity of Natura 2000 sites. Public Information Sessions which are open to all will be held at a number of venues in the City as listed below. The public can also attend a Drop-in Clinic in the Planning Department, City Hall any Thursday from 2.00-4.00pm during the consultation period. Submissions or observations regarding the review of the existing Galway City Development Plan 2011-2017 and the preparation of the proposed new City Development Plan and/or the Environmental Report are hereby invited from members of the public and other interested parties. 2015 to Monday 23rd March 2015. Requests or proposals for zoning of particular land for any purpose cannot be considered at this stage of the plan process. At the next stage of the process, the Planning Authority intends to review the zoning of the area for the purposes of developing an overall strategy for the proper planning and sustainable development of the city and the core strategy. Submissions or observations should be marked Development Plan Review, state the name of the person making the submission and where relevant the body represented. All submissions lodged within the above period will be taken into consideration in the preparation of the new Draft City Development Plan 2017-2023. 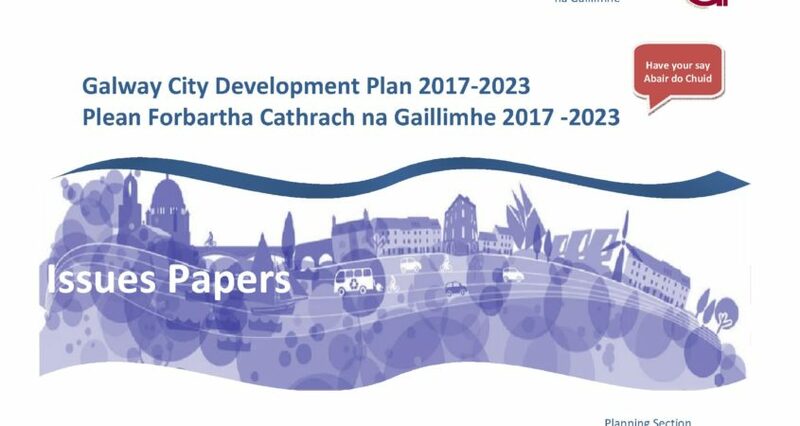 The final date for receipt of submissions or observations for this stage of the Development Plan process is 4pm on Monday 23rd March 2015.